Precision balances from 5 kg/0.001 g to 64 kg/0.1 g. Cubis® provides maximum weighing performance and full network capability. Equipped with a touch screen, it is also suitable for customised workflows (Q-Apps). Secura® precision balances guarantee high reliability and security in regulated areas for the most common weighing ranges. Lab water pre-treatment systems for the production of highly deionised and softened water, free of magnesium and calcium. arium® 615DI cartridges contain highly effective ion exchange resins to remove cations and anions from the water by exchanging H+ and OH–.The lab water pre-treatment systems can be readily regenerated with sodium chlorine brine. Consumables for lab water systems. From pre-treatment cartridges over polishing packs and RO-membranes to upgrade kits you find everything necessary for your daily work with arium® lab water systems. 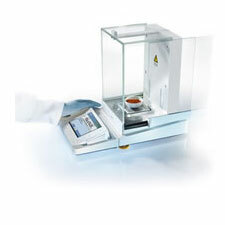 arium® advance EDI type II pure water systems for general laboratory applications. With the combination of reverse osmosis, softening and electrochemical desalting, the arium® advance EDI type II pure water system guarantees constant water quality. The device is available as benchtop or wall-mounted system. Lab water system accessories. Dispense guns, water storage tanks, water guards, conductivity meters or printers – Sartorius offers a broad range of accessories to assist your daily work with the arium® lab water system.